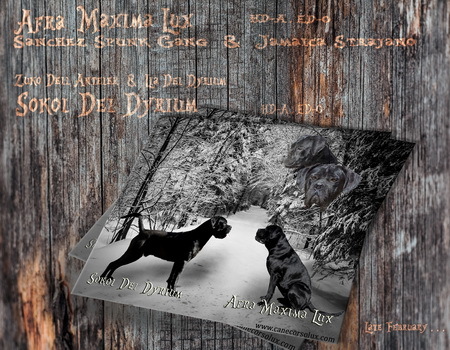 We can proudly make litters announcement of our great Cane Corso champions! We require a 500 USD / 500 EUR deposit that is non refundable but transferable for any litter in the future, 2 years after placing your deposit . It is important to us that you receive the pupy you want regardless of any situation! Transportation of Cane Corso puppies is available to all destination of the world. If you have any question , simply click here and contact us. Occasionally we have available adult and young Cane Corso dogs for sale!